Mr. Carmona's expertise as a gemstone and jewelry appraiser is enhanced by his years of travel to global sites that produce diamonds and gemstones. This distinguishes him from his peers and has provided him with a leading edge in assessing value of the broadest possible spectrum of gemstones and diamonds harvested worldwide. 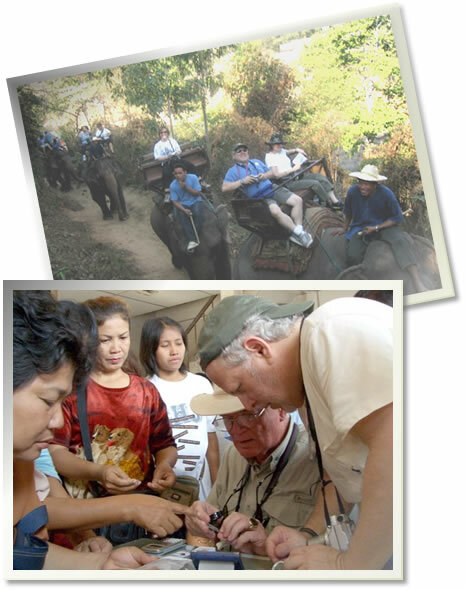 Travel in and out of remote mine sites near Chiang Mai, Northern Thailand require creative travelling—in this case by elephant. At the gem market in Chantaburi Thailand, Mr. Carmona inspects rough gemstones for sale. With other dealers present, Mr. Carmona looks for the best specimens of each gem type in the local Chantaburi Thailand market. 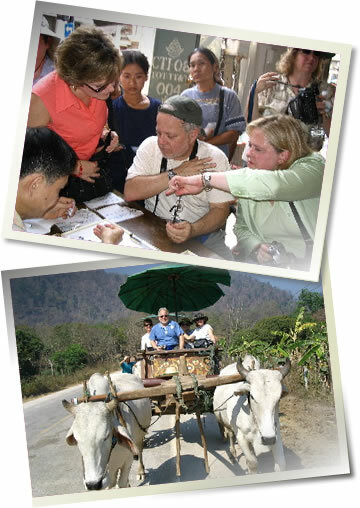 Near Chiang Mai, Northern Thailand, Mr. Carmona accesses hard to get to sites via 'local' transportation.